You don't want to read this article, do you? What an awful way to start an article! Before I even asked you a question, I told you what you DON'T WANT to do! Now, if I personally think you'll benefit by reading this, I have the added burden of turning your thinking around. Would you risk the 180 seconds it will take you to read this article if it promised to give you the power to turn every interested human being ... to turn anyone who considered, for a moment, retaining you as a trainer, into a long-term happy client? You better read this article, right? Just as I did at the onset, sometimes we ask flawed questions and as a result we fail to get a full grasp of that which we seek to understand. As an example, personal trainers typically ask a prospective client or a new client, "What is your fitness goal?" It’s a well-intentioned question, but it triggers an automatic response that bypasses the individual's ability to look inward and express specific desired outcomes. The "fitness goals" question typically summons up brief answers such as, "I want to get in shape," or "I want to lose weight." Those may be honest responses, but they are vague generalities that give us little true insight into an individual psyche. Worse yet, the answers are impotent from an emotional standpoint, and emotion is the predecessor of virtually every life-altering decision. Through experience, study, trial, and error, I've learned to ask better questions. With better questions I stimulate more heartfelt responses and I access motivational triggers. Rather than asking for a preconception of a "fitness goal," I approach the "what do you want" question with room for introspection and emotional honesty. I've learned to begin the exploration of desired outcomes with a question such as the following. "Assuming you get everything you want out of this relationship (trainer -- client), what specifically will be different in your life six months from now? A year from now?" The open-endedness of the question, the insertion of the words "everything you want" and the inclusion of the word "specifically" turn this into a power question. The lesson is simple. The answers we receive and the knowledge that we acquire is based in great part upon the questions we ask. If we can accept that premise, doesn't it follow that if a prospective client is considering retaining you as a trainer, the perception that individual forms of your value will depend greatly upon the questions they ask? I'd answer that with an emphatic yes, and it's that question that prompted me to reach into my database. On April 2, 2012, I invited 1,200 people in my database to answer the following question: "If you were interviewing a personal trainer to assist you with your personal health and fitness wants, and you could only ask four questions, what four questions would you ask?" By midnight on April 4, 194 people had responded. What I found interesting was, despite publicly disseminated pieces put out by the leading certification agencies, less than five percent of the people who responded asked anything about credentials. Is that wrong? From our perspective it probably is ... but regardless of how we feel, this small but insightful sampling demonstrates there is less of an initial interest in credential than in various factors related to time, outcomes and value. That may prevent an individual from acquiring enough knowledge to ensure the trainer is in fact competent and equipped for the job at hand. 2. How long will it take (to see the desired outcome)? 3. How often do I have to train? 4. What do I have to eat? If we understand that based on public perception, on individual and collective experiences, and on consumer mindset, those questions will help to, in great part, shape whether a relationship with a personal fitness trainer emerges and grows. We should respect the consumer's instinct and be prepared to answer the questions. The challenge is for extraordinary trainers, as I alluded to just a moment ago, the answers may not offer a fair representation of the trainer's true value. 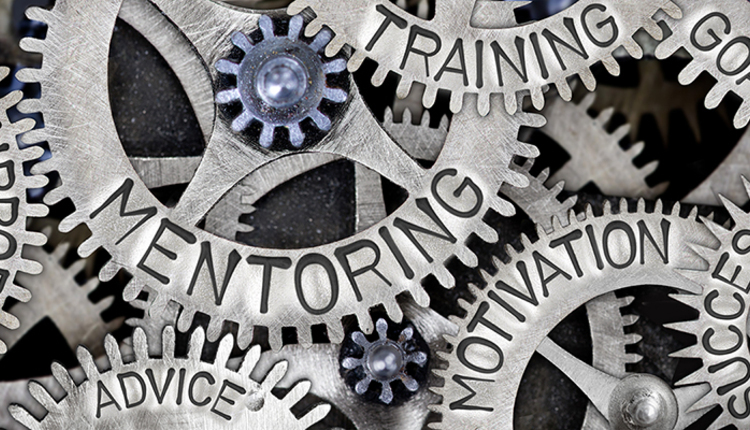 Consumers may be victimized by price incentives and false promises and fail to connect with "the best trainer for the job." If you are to develop an ability to put your best foot forward, to win people over and help them understand your value, answering the questions they ask is only a part of the process. The complementary piece is helping them formulate new and better questions and/or answering the questions that should have been asked but weren't. In contrast to the four questions people are prone to ask, I'd suggest four important questions that should be asked. 1. What specific results have you helped other people (like me) achieve? 2. How will you teach and empower me so in the long run I am not reliant upon anyone but myself? 3. What are your credentials and experience and how does that separate you from the ordinary trainer? 4. How will I know I'm getting value for my investment? Let's realize our power to influence is enhanced when we provide information and insight beyond that which is requested, and if you practice answering the four questions I just suggested, you'll find it simple to communicate those traits, gifts and abilities that separate you from the ordinary and make an investment in your services prove to be an extreme value. Your responses should help prospective clients and interested parties to view a rift, a gap, between where you are and what you do, and what a conventional personal trainer would typically do. When I opened my first personal training studio, I had a variety of marketing vehicles that drove phone calls, but the percentage of phone inquires that turned into consultations and clients was dismal. A few months later my staff felt a surging confidence that if a call came in with questions about retaining a trainer, it was almost a sure thing. The difference? The questions the trainers answered. Interestingly, the questions the inquirer asked didn't change. The freedom the trainers felt to steer the conversations was the catalyst. Want better outcomes, ask better questions, and supply people with "the questions they should ask for the most valuable answers." Shouldn't I conclude with a question? Yes, a good one. Aren't you glad you read this?